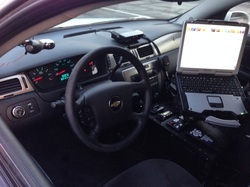 The mission of the Willard Police Department is to work with the community to enhance the quality of life in the City of Willard by providing effective police services to include the protection of life and property, professional law enforcement, crime prevention, fear reduction, and friendly assistance. The police department consists of 15 full time officers and 8 reserve officers. 4 full time and one part time dispatcher handle all emergency 911 and non emergency calls for the Willard Police Department. There are 3.5 square miles that officers patrol serving approximately 6,236 residents and several large industries.